Many of us like options and flexibility and that is exactly what the Lennox Signature Collection XPG15 Heat Pump is made to deliver. It is specifically designed for dual-fuel applications where you want to heat primarily with a one source but enjoy the ability to use either one based on comfort or cost factors. Pat’s letter hit our Share an HVAC Price inbox recently so we deliver it to you now. Thanks for the HVAC prices, Pat! “When we had to replace our HVAC system 10 months ago we knew we wanted a heat pump but debated using just an air handler or adding a complete gas furnace instead. Here in central California fall and spring can vary between warm and chilly, while winters are cold but not bitter cold. I’ve learned through your site and others that today’s heat pumps are as different from heat pumps of 10-15 years ago as night is from day. They are more efficient and they deliver hotter air – low 90’s rather than low-mid 80’s. 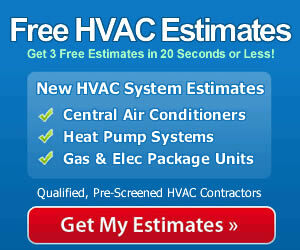 After considering the choices and talking with HVAC companies we chose a split system. The contractor who had proven the most helpful in our discussions suggested the Lennox XPG15 because it is specifically designed to get the most efficiency in a split system setup. That’s the route we went and I’m very glad we did. We’ve actually used the heat pump to heat more than we thought we would, even in fairly cold weather. It heats the house quickly when we return from work and boost the temp. The utility bills have been very low. It seems that the price of natural gas relative to electricity fluctuates quite a bit and now we have the ability to use the fuel that is most cost effective at the time. For the extra few hundred bucks I’m very happy we chose a heat pump plus the gas furnace. Here was our Dave Lennox Signature Collection XPG15 heat pump price with gas furnace. Lennox Signature Collection ton 3 XPG15 heat pump with matching air handler, $6,999. Lennox 90% AFUE, 90,000 Btu gas furnace, $1,379. Total: $12,078 minus $2,100 in rebates and tax credits. UP to 16.2 SEER cooling and 9.2 HSPF heating, which qualify for the federal tax credit. It’s an Energy Star rated system. Maximum versatility to take advantage of the lowest fuel costs. SilentComfort technology runs at half the decibels of many heat pumps. Can be programmed to automatically switch from heat pump to furnace given inputted parameters. Defrost control to reduce extreme cold blowing. R-410 refrigerant is environmentally safe since it does not use chlorine. When you are gathering heat pump prices, why not get a quote on this type of dual fuel system? Talk to your qualified contractor about the advantages of having the option to use either gas or electric heat and what the relative costs might be in your area for the equipment and for energy. Only then will you have the full picture to make the best decision possible. Once you’ve made up your mind, have that professional contractor handle the installation and rather complex set up to make sure that you truly are optimizing your performance and energy savings. Like Pat, you may enjoy advantages 12 months out of the year.